I've been plugging away with the unexpected makeover to our dining room. Living Pretty w/ Your Pets Feature! Hey everyone! I'm super thrilled to be guest posting over at Cuckoo 4 Design today! Julia has an amazing sense of style and a huge love of animals so I was just beside myself when she asked me to be a part of her Living Pretty With Your Pets series. 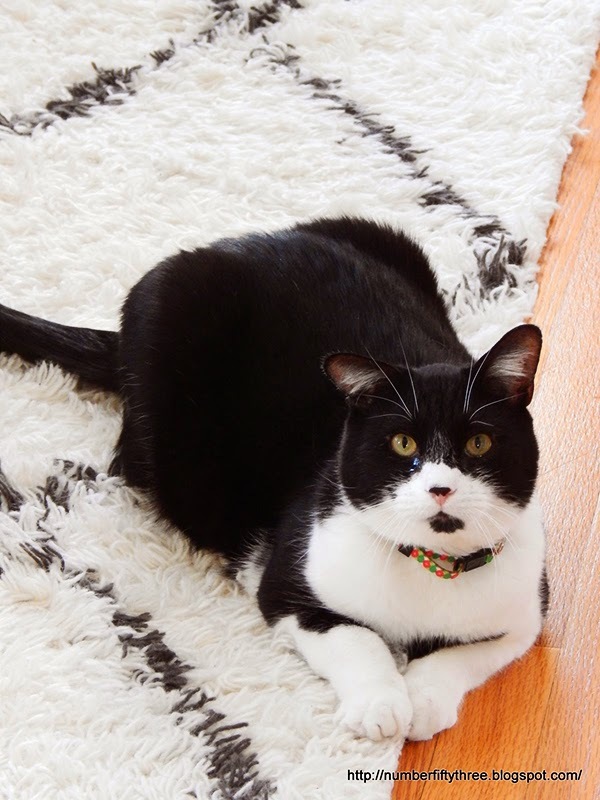 I'll hope you'll stop over there and read all about Figaro's story and what it is like living pretty with him! So, I've made it my mission this year to try and focus on those spaces in my home that I have never been satisfied with. Hi there. My name is Angela and apparently I have an addiction to mirrors. Yesterday, I shared my Vintage Mirror Gallery Wall and today I have a hutch that I updated with paint and a custom cut mirror (more on that mirror in a bit). So, last week I randomly created a gallery wall in our dining room with vintage and antique mirrors. Hey everyone! 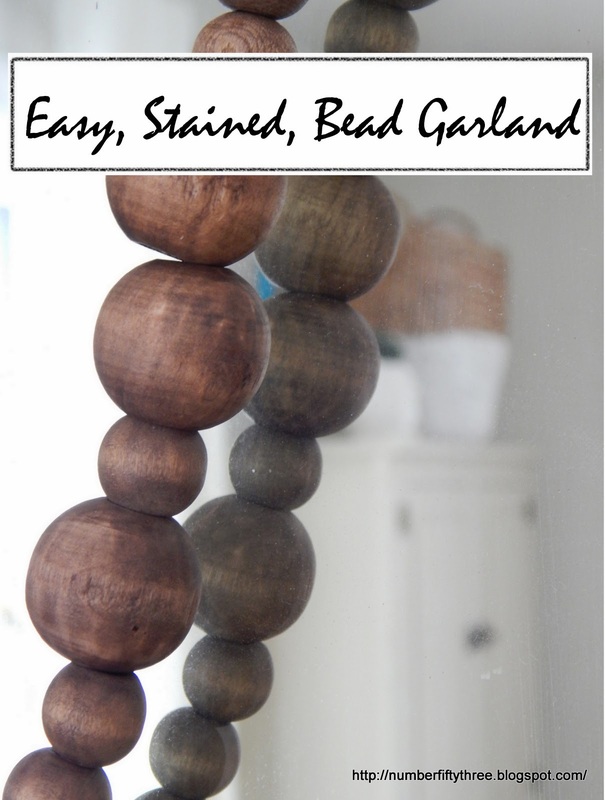 It's been a while since I've shared a craft with you all so I thought I would show you how I made this super easy, stained, wood bead garland recently. Hey there friends! I'm so super excited to welcome Gretchen from Boxy Colonial here today! Every single time I head over to her blog I leave with a smile. Not only do I love her style (and I pretty much am planning to move into her sunroom) but I find Gretchen to be pretty darn hysterical. I first discovered her blog when she mentioned something about homeschooling (which we also do) and I'm so glad I did! Hi Everyone! I’m Gretchen from Boxy Colonial. I was really excited when Angela asked me to do a post here; Number Fifty-Three is one of the very first blogs I started following back when I first started blogging, and it’s still definitely one of my very favorites. So I jumped at the chance to introduce myself over here! 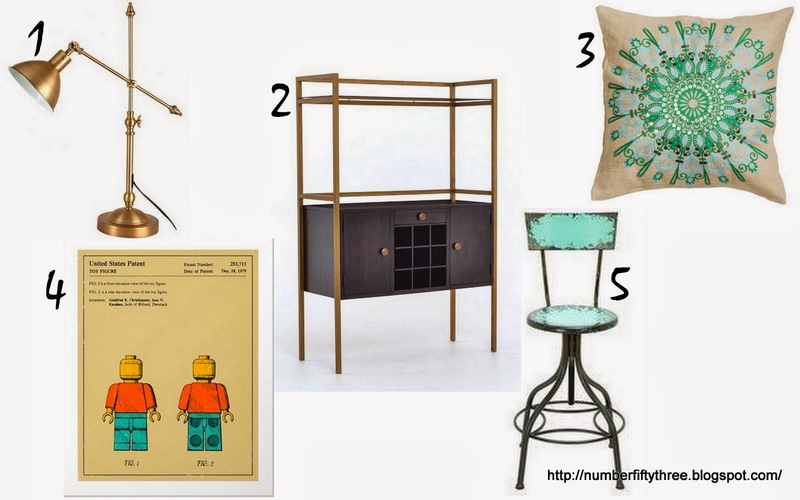 I blog mostly about house stuff; we have a big house and a small budget, so a lot of DIY projects and thrift store finds are involved in my decorating. I have four boys, three dogs, and two cats who make their way onto the blog from time to time as well. We bought our house in spring of 2012. It was a foreclosure that had been sitting empty for almost two years, so it’s needed quite a bit of love, and we’re nowhere near finished with it yet (and I’m pretty sure we never will be!). I thought I’d share some of my favorite spaces that we HAVE made some progress on with you today, though. Hey all! I'm back with yet another drop leaf table. I don't know what it is this year, but they keep finding their way to me! You know what? That whole idea of light affecting a paint color is no joke. Seriously. What you think is the perfect color may just be totally different in glaring bright daylight. 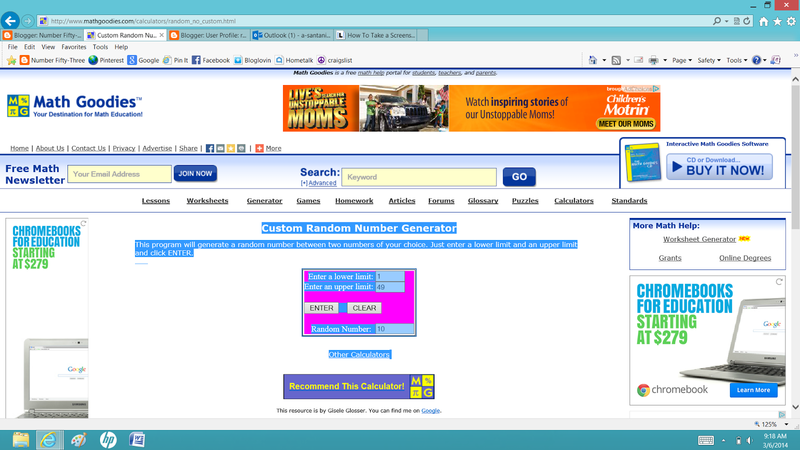 I was recently contacted by Bold Rugs to see if I would like to do a review. And, I totally did. With the exception of our bathroom every single room in our home, including our kitchen has hard wood floors, so beautiful area rugs are always more than welcome here. Even though I was given the Safavieh Retro RE Black and Grey Area Rug, the opinions are all completely my own. Which was super easy because I think the rug is pretty great. And apparently so does Figgy. (And I am not even kidding. He came running over today and started posing.) This is his, my life is so much better now that I'm not an abandoned sick stray and I can spend my days primping for blog posts look. I'm continuing on with what has become a little decorating series. 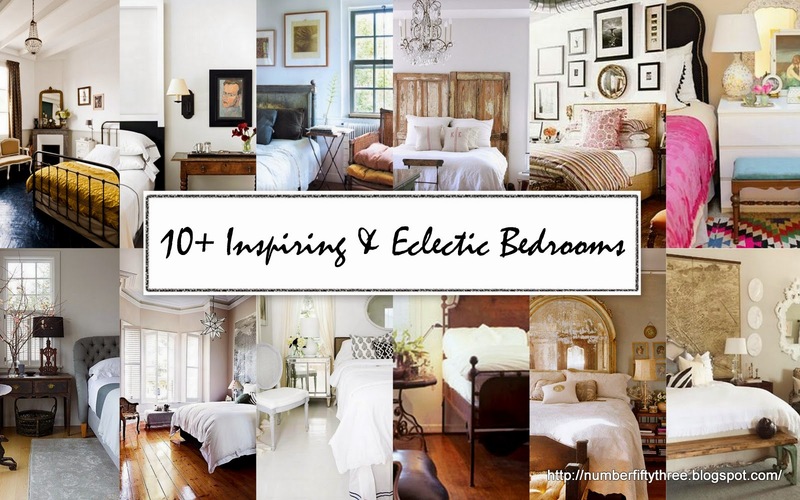 For the past few Wednesdays I've been sharing a ton of ideas and inspiration for making your home unique. 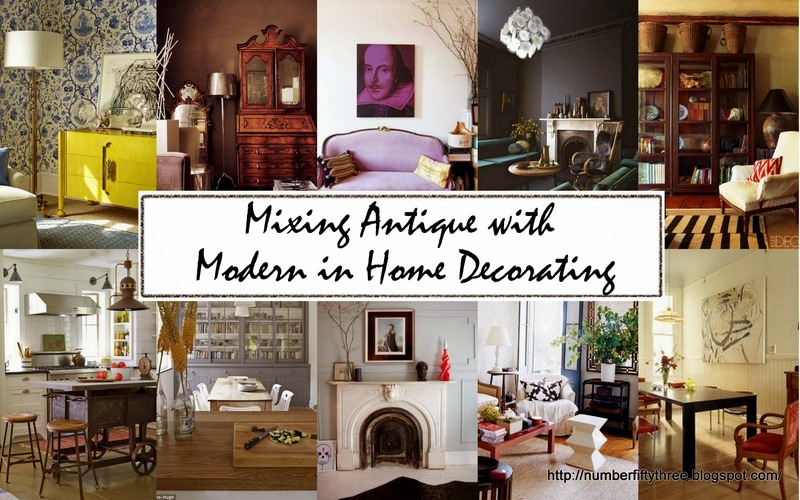 You can read about Mixing Antique with Modern in Home Decorating (here) and Storage Solutions for Older Homes (here). We've had no less than four pieces of furniture in our upstairs hallway in the last six months. Seriously. And, I'm hoping. No. I really think this is the keeper. Okay. So much has unexpectedly happened in our dining room over the last month or so. Things I'm Loving This Week..
Hi there! I hope you all had a fantastic week! Please tell me that I am not the only one who is feeling a tad jealous over all of the gorgeous spring posts being done by some of my favorite bloggers. I so want spring here, too. I'm hopeful that one day, soon...maybe...if will start to feel like spring here in the northeast! Hey there friends! Thank you so much for your wonderful comments on my Stenciled Hall Reveal & Giveaway post! 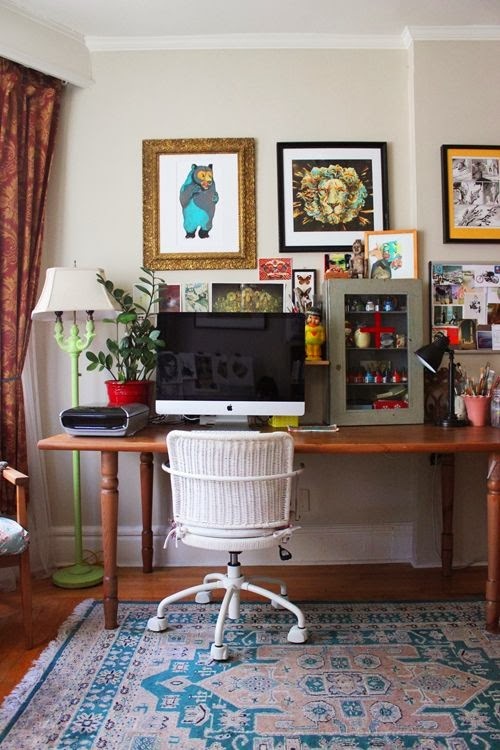 It kind of seems like 2014 is becoming the year of the drop leaf table for me. Weird, since I've never purchased or refurbished them before. But, here we are, three months in and this is already the second I have painted (you can see my black vintage drop leaf here). Plus, I have another in storage waiting for a makeover. And, we purchased an antique drop leaf table a few weeks ago for our very own dining room. 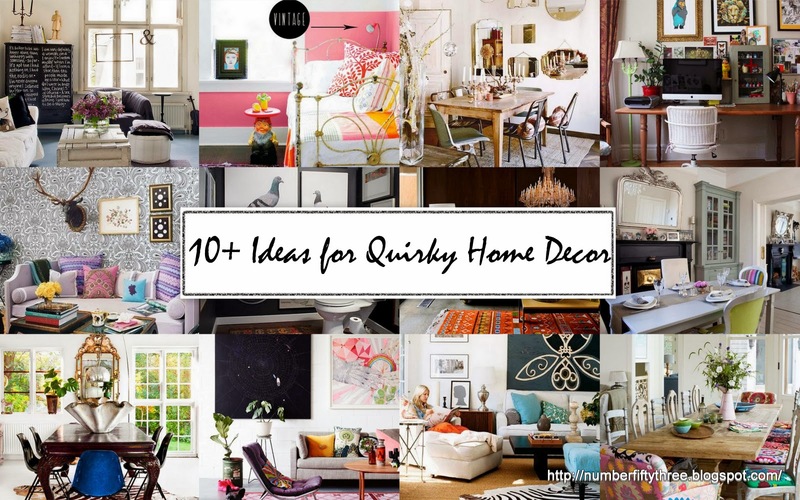 I always feel a constant pull between a couple of different styles when I decorate my home. So, when my husband and I first got married we bought pretty much all new furniture. And we loved it and definitely got our money's worth. But, slowly, over the last couple of years we have replaced nearly each piece with mostly vintage and antique furniture that I have hunted down and refurbished.